We get it, Boston. Your sports teams win championships. This Boston chainsaw sculptor created a tribute to all of that winning with his latest piece of art: the “World Championship Tree,” a tree with four stumps sculptured into slender, stubby fingers donning detailed championship rings from Boston’s four major sports teams. …I was a sculpture major in college. I went to U-Mass Dartmouth. Chainsaw sculpture was not a major, but I can tell you my classmates didn’t think too highly of my work. They called it “too commercial,” which I didn’t get. I always thought that we were all trying to make a living out of art. Some of them made their sculptures out of things like wax and hair. Obama-Trudeau 100 day negotiations are drawing to a close – When Canadian Prime Minister Trudeau visited US President Obama in early March, the two set a 100 day negotiating timeline to try and broker a new deal. Unfortunately, there has been little progress on the file and we understand that the US “offer” is a non-starter. We believe that the deadline will pass without a deal… Preliminary CVD & AD duties anticipated by March 2017 – We expect that the DOC investigation will take ~6 months to conclude with preliminary countervailing and anti-dumping duties against Canadian lumber imports. As a result, we anticipate that these preliminary rates will come into effect for Q217. In 2001, these rates totaled ~32% and we don’t expect any break this time around. 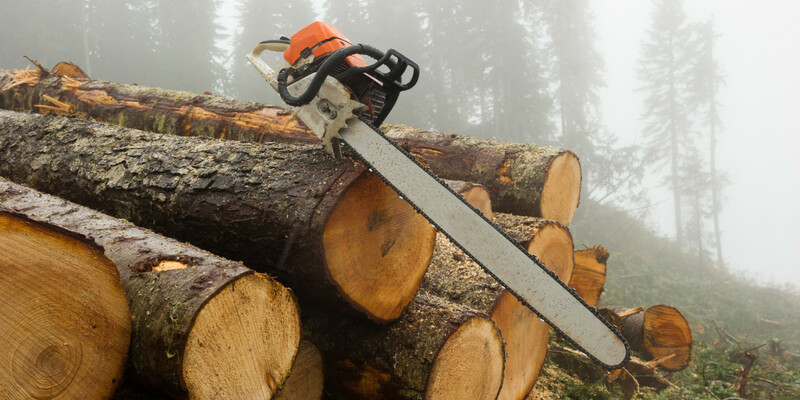 Bloomberg Intelligence Senior Analyst, Joshua Zaret says the low loonie could boost Canada’s lumber exports, as uncertainty looms over a softwood lumber deal between Canada and the U.S. He speaks on The Daily Brief. The Premier was talking tough on softwood lumber at yesterday afternoon’s Chamber of Commerce meeting in Quesnel. Christy Clark specifically mentioned the lack of a new export deal with the US. BC is responsible for 50% of Canada’s softwood lumber exports to the States. Clark says the matter is urgent and she assured the crowd that BC will not accept just any deal. “We are not going to accept a deal that imposes quotas in Canada because it would be bad for BC jobs. 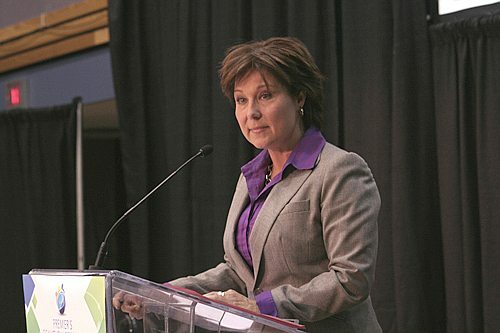 We are going to make sure that whatever deal that we get is one that protects BC’s interests.” She says she’s been urging the federal government at every opportunity to negotiate a deal quickly before the American election cycle starts in September. 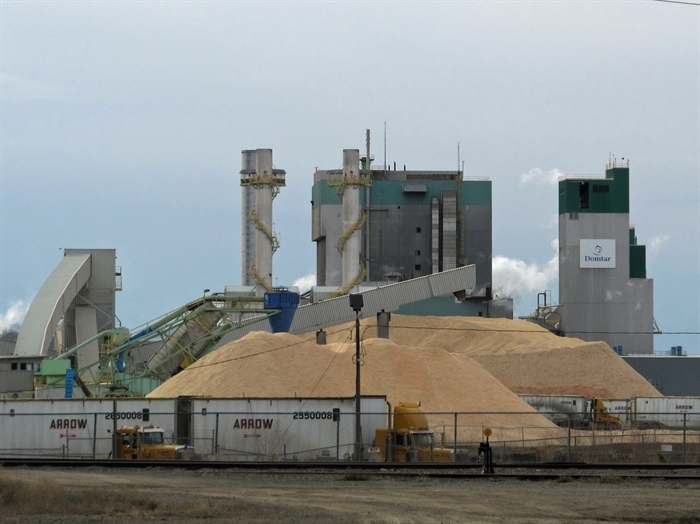 KAMLOOPS – Domtar appreciates the tax cut, but would like more help from the city. The pulp company is asking for additional steps to be taken to deal with Kamloops’ high industrial tax rate.. “Kamloops continues to have [sic] highest industrial taxes in British Columbia among municipalities that host our competitors,” manager Carol Lapointe says in a letter to council. “This continues to put our operation at distinct competitive disadvantage.” He says the tax reduction for heavy industry was a move in the right direction, but wants the city to consider additional steps to bring Kamloops’ rate in line with other municipalities. Kamloops council voted to reduce the tax rate for heavy industry to $74 per $1,000 from $78.70, which it has been for the past three years. Addressing a small crowd of 17 people on Wednesday, Peter Milley of Halifax Global discussed what the forest diversification strategy hopes to accomplish in the consulting firm’s study happening this summer in Grand Falls-Windsor. The study aims to find opportunities for forestry to diversify the economy in the region by looking at what the value of the resource is, and what the best opportunities may be. “We want the community fully engaged in this process,” said Milley. Wednesday’s community input session was the start of community engagement. The consultants will present the study findings to the public. TACOMA, Wash. — Northwest Hardwoods Inc. has named Frederic Jung as Executive Vice President and Chief Financial Officer. He will be responsible for all finance, IT and legal functions at NWH. 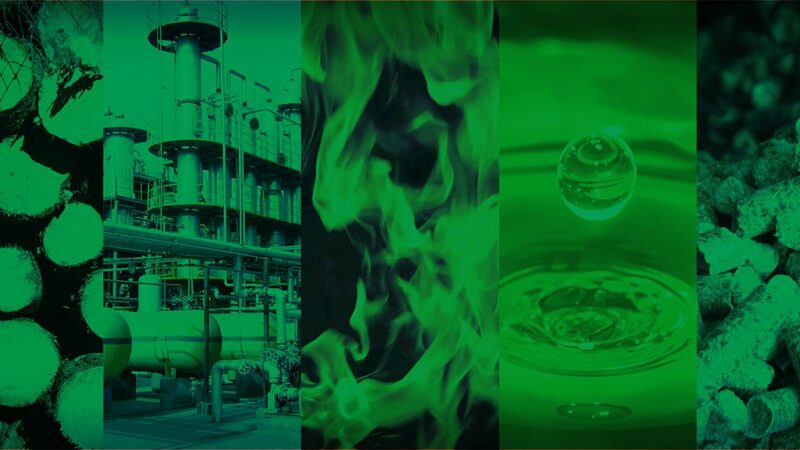 Jung is a seasoned financial executive with nearly 30 years in the chemicals, aerospace, waste management and construction sectors in both public and private businesSES, including Fortune 500 companies, start-ups, turnarounds and rapid growth companies. “Frederic’s demonstrated record of leadership and success will be a huge benefit to NWH as we continue to grow the company both domestically and abroad,” said TJ Rosengarth, President and CEO of NWH. Can a sawmill improve forest health and bolster an economy? 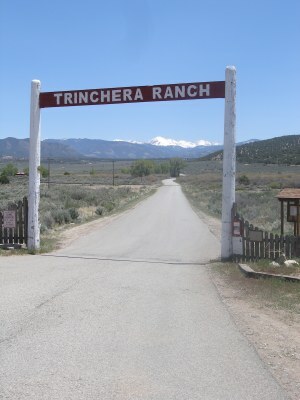 Lots of things about the Trinchera Blanca Ranch are big. Sitting on the east side of the San Luis Valley near La Veta Pass, its 176,000 acres are believed to make it the biggest ranch in Colorado. Its owner, hedge fund manager Louis Bacon, ranks among the richest people in the country. And, after decades of fire suppression and a recent prolonged drought, its forest health problems are huge, too. Overgrown and insect-infested forests aren’t unique to the Trinchera Blanca Ranch, known locally as simply the Trinchera. But its response has been uncommon. Last fall the ranch began seeking state and local approvals for a timber mill that could take wood off its ailing forests. It’s currently under construction and slated to open for test runs this fall. If it opens according to plan, the mill could help improve the health of the Trinchera’s forests and boost the struggling economy of Costilla County, where it could become the largest private employer. EVELETH — The Iron Range Resources & Rehabilitation Board and agency staff have taken a lot of recent incoming criticism from St. Paul through a harsh Legislative Auditor’s report and on the Range regarding monitoring of its loan portfolio and job-creation numbers. But Tuesday was a time for applause, handshakes and plenty of optimism in the IRRRB’s Eveleth headquarters. …The region’s logging industry that has been devastated in the past decade would benefit greatly, with 700,000 to 800,000 cords of wood used annually and 200 logging trucks per day — and up to 300 in winter — delivering product to the plant. An estimated $60 million annually in revenue would be generated for loggers and truckers. New Zealand manufacturing activity continued to firm in May as production surged, while employment resumed its expansion. …Forestry was a “bright spot” in the first-quarter GDP accounts, Ebert said, as the industry had struggled in 2015 but there were signs of renewed life in the March quarter. The forestry and logging component of GDP, for example, expanded 5.2 percent in the first quarter, returning its annual growth into positive territory. Manufactured wood and paper products increased 1.9 percent in the quarter, to be up 5.3 percent on a year prior. “Structural demand from China (and India?) and a strong local construction outlook promise to underpin New Zealand’s forestry activity, and prices,” Ebert said in his report. in of in-market “A” grade price (CFR price) falling by US$5-7/JAS m3. For most suppliers this decrease will impact on June prices (see Outlook – Export Logs below). The Wood Panels Industry Federation (WPIF) has recruited a new set of parliamentary champions for the industry, with the establishment of a fresh All Party Parliamentary Group, led by Scottish National Party MP, Steven Paterson. At the inaugural meeting, the MPs heard from Karl Morris, chief executive officer of Norbord Europe, on the challenges faced by the wood panel manufacturing industry as a result of government subsidy to the wood burning renewable energy sector. …Mr Morris added: “The biomass issue is crucially important to resolve for our industry. It is vitally important that we engage government in the levelling of the playing field with regards to the iniquitous subsidies that are distorting the supply and demand of wood in the UK. QUEBEC CITY—A groundbreaking ceremony was held June 14 for the Origine green condo project, which is set to become the tallest solid wood condo tower in North America. The Origine will be the flagship building of the Pointe-aux-Lièvres ecodistrict, in the heart of Quebec City, a release explains. Set to be devliered by the end of the year, the 41-metre-tall building clad in aluminum panels will feature 12 storeys made of cross-laminated timber above a concrete ground floor. It will house 92 condo units and also includes natural-gas air and water heating, radiant floors and a smart garbage chute. “Origine is a distinctive, one-of-a-kind project that we are extremely proud to be building,” said Andre Huot, an NEB Consortium representative in a statement. The provincial government is promoting the increased use of residual fibre (left at the roadside following logging) by a number of changes in legislation and policy as described in its recent “Fibre Action Plan.” Part of this plan was a recent study by the Ministry of Forests, Lands and Natural Resource Operations staff which showed sufficient residual fibre was available to replace the loss of sawmill waste material when the saw log component is reduced owing to beetles. The 2015 Fibre Study done by Cariboo-Chilcotin Natural Resource District staff measured the amount of fibre that remains post-harvest in the Williams Lake TSA. …The results showed a 22 per cent and 28 per cent residual fibre remaining post harvest from cruise based and scale based billing respectively. Re: “Truck loggers glad to see cutblock auction go ahead,” Coast Reporter, June 10. In reading comments from David Elstone of the Truck Loggers Association regarding BC Timber Sales block A87125 (Elphinstone), I note his quotes regarding the multi-use aspect of the area show a major contradiction….Truck loggers are opposed to wider protection of the small Mt. Elphinstone Provincial Park (from 140 to 2,000 hectares) where the very features identified would be erased from logging and road building. Logging, not the expanded park, would result “in the exclusion of many of these activities” because industrial-scale logging is ruthless. It’s an insult to an iconic species, like the old-growth Douglas fir, to leave them standing alone in a clearcut to fend for themselves against wind storms. MONTREAL, QC and OTTAWA, ON — The “Fédération des producteurs forestiers du Québec” (Quebec Federation of woodlot owners or FPFQ) has released the fourth edition of the “Sound Forestry Practices for Private Woodlots Field Guide,” which is used by small woodlot owners and forest contractors to promote responsible forest management. The updated guide was supported by an SFI Community Partnerships Grant. “This newest edition includes enhanced recommendations covering key themes such as identifying watercourse crossing features and wetlands, forest certification, conservation of wildlife habitat, timber measurement and stacking for transport, sugarbush development and tree-felling safety regulations. The online version of the guide also features videos that illustrate some of the key concepts,” said Pierre-Maurice Gagnon, Chair of the FPFQ. Washington, D.C. – Yesterday, the House Committee on Natural Resources approved legislation introduced by Alaska Congressman Don Young (R) to reform the federal government’s system of forestry management in a manner that empowers local communities, builds resilient forests and streamlines burdensome management practices. H.R. 3650, the State National Forest Management Act, was introduced by Congressman Young on September 29, 2015. The bill, which will work to address what has been described as major failures of the nation’s federal land management agencies. The bill would also authorize states to select and acquire certain National Forest system lands, up to 2 million acres, to be managed and operated by the state for timber production and other purposes under the law. This is a commentary on the June 1 guest column, “Trees are growing every day,” on the Missoulian Opinion page by Paul McKenzie, the next in line of succession for general manager at F.H. Stoltze Land & Lumber Company. My disclosure is McKenzie and I do not like each other. While he sees his role in life as cutting down trees for corporate profit and personal salary and bonuses, my life’s mission is to save trees for wildlife habitat for no personal financial gain. …McKenzie enlisted the aid of Amy Robinson of the pretentious pseudo-environmental group called the Montana Wilderness Association, as well as a select list of some other individuals and organizations, to pretend he did his due diligence of considering the plight of wildlife, but he used the by-invitation-only Whitefish Range Partnership Plan concocted by Joe Krueger of the Flathead National Forest to trick the general public into believing everyone not invited was in concert and collaborated on the private plan. The U.S. Forest Service announced Thursday it will be part of an operation to stop a Tussock Moth and Western Spruce Budworm infestation near North Cheyenne Cañon Park and other areas west of Colorado Springs. The project, that will include the spraying of a biocide on Douglas Fir and White Fir trees along Forest Service, city, county and private lands could begin as early as Tuesday, the City of Colorado Springs announced earlier this week. While other entities had already joined the project, the USFS conducted a months-long assessment to determine if environmental impacts would be too great to give the go-ahead to spray on its land. It’s not easy to price a tree, but a group of researchers from the U.S. Forest Service and U.C. Davis have tried to do exactly that. Working with a dataset of about 900,000 trees that line California’s public streets, the group sought to place a dollar value on the services those trees perform, which include “energy savings, carbon storage, air pollutant uptake, and rainfall interception.” All told, the researchers estimate the trees contribute about $1 billion annually — nearly $111 per tree for each of the state’s 9.1 million street trees. Radical environmentalists’ claim to have driven spikes and nails into what they say were old growth logs at a mill in Noti brings to mind two words: Stupid and reckless. Stupid, because the vandals said the reason they targeted Swanson Brothers Lumber mill is “it specializes in processing the oldest and largest trees.” Except it doesn’t. Reckless, because if the vandals did drive spikes into logs, they are putting mill workers’ lives at risk. The mill does not rely upon old growth timber, but second growth. Almost no mills in Oregon use old growth timber, which is almost unobtainable except for occasional small quantities from private land. Nearly all Oregon mills re-tooled over the last 20 or 30 years to handle only second and third growth timber. Oregon Sen. Ron Wyden returned to Lake County for a public town hall meeting on Friday, June 10, just as he has every year since first elected to Congress. …He hoped to bring the timber industry, environmentalists and scientists together to develop solutions for post-fire salvage while also working to end fire borrowing that diverts funding away from prevention work to instead focus on suppression. This effort, said Wyden, only compounds the problem, leading to larger fires. 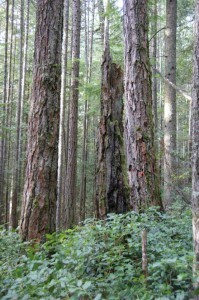 Wyden addressed the ailing timber pine market, which has been adversely affected by Canadian companies flooding the market with excess pine. According to Wyden, an enforcement of trade laws is necessary, while praising the proposed Red Rock Biofuels plant as a model project for renewable energies. The Flathead National Forest on Wednesday released its environmental assessment Wednesday for a proposed salvage logging project in a portion of the Spotted Bear Ranger District burned by last year’s 22,195-acre Trail Creek Fire. The project area is two miles east of the Spotted Bear Ranger Station. The forest has opened a one-month public comment period on the proposals, which consist of one no-action alternative and two action alternatives. A final decision is expected in August, according to a press release from forest spokeswoman Janette Turk. Much has been said and written about the science-based ecological forest management within the Sparta Mountain Wildlife Management Area. Unfortunately, much of what people have heard or read is wrong, creating unwarranted concern among well-intentioned people who value our forests, like we do here at the Department of Environmental Protection. So let’s look at the facts. The proposed plan for forest management at Sparta revolves around two basic points: 1) the need to encourage young tree growth, using scientifically proven methods, to expand its diversity and promote its long-term health, and 2) the proven, positive effects on both existing and surrounding plant and animal species from these methods. RALEIGH – Some of North Carolina’s most beautiful landscapes include miles and miles of forests and trees that are protected by sustainable forest management practices introduced to the United States by a German immigrant whose name might be familiar to many in the Triangle. 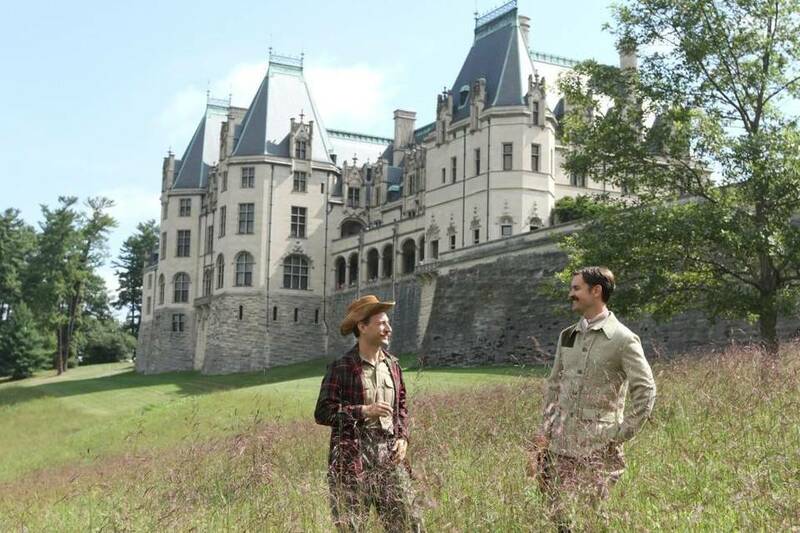 Carl Alwin Schenck was a German forester who came to the country to work on the Biltmore Estate outside Asheville in 1895. Schenck is the namesake of an N.C. State University research forest on the west side of Raleigh that is also a popular place to hike. On Friday, the N.C. Museum of History will host a free screening of a documentary that tells Schenck’s story. “America’s First Forest: Carl Schenck and the Asheville Experiment” was produced and distributed by the Durham-based Forest History Society and explores the impact Schenck had on American forestry and the subsequent creation of the Pisgah National Forest, the first national forest acquired from private land. If you have a question about the environmental and social performance of plantation forestry in New Zealand, it is very likely you will find an informed answer on a new website developed by Scion.17 June 2016 Forest portal opens … but industry concerns remain. If you have a question about the environmental and social performance of plantation forestry in New Zealand, it is very likely you will find an informed answer on a new website developed by Scion. The New Zealand Planted Forests Portal, www.nzplantedforests.org, was launched yesterday at the National Fieldays by associate primary industries minister Jo Goodhew. 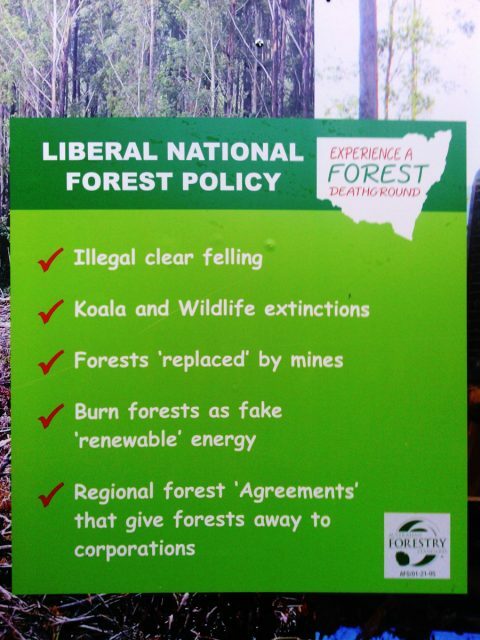 Forest advocacy group Nativesrule is turning its attention to the north coast, with its campaign truck travelling through through the Cowper, Page and Richmond electorates this week with a dire message about the state of our forests. Nativesrule spokesperson, Frances Pike said Australia had the unenvied reputation of being ‘the world leader in mammal extinction and one of the eleven hotspots for global deforestation.’ ‘If regional forest agreements are renewed our forests will go the same way as the Great Barrier Reef,’ Ms Pike said. ‘When we began to report on overcutting of forests under federal/state Regional Forest Agreements (RFAs) people seemed confused. They just believed those old signs that used to say “Your forests, safe in our hands”. Official figures released today by the Forestry Commission show that the government is falling far short of its own tree-planting targets. 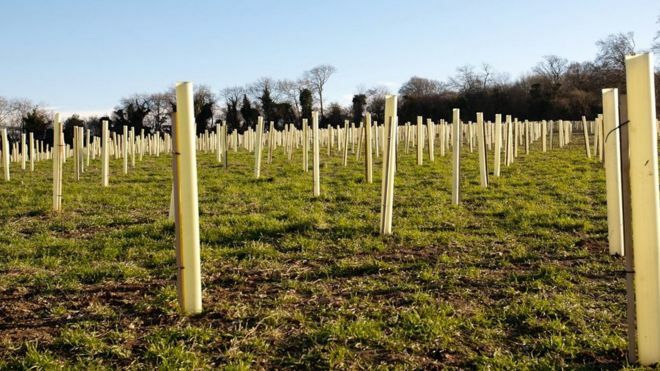 The Woodland Trust says that the “drastic decline” in new woodland planting is “appalling” and could have serious environmental consequences. It accused government of missing its target in England by 86%. The environment department, Defra, said it was committed to growing woodland cover. Data published today by the Forestry Commission, the government body responsible for expanding Britain’s woodlands, shows that 700 hectares (seven km2) of woodland was planted in England last year. The goal was to plant 5000 (50 km2). If you go out to the woods this weekend, you may be in for a campfire ban. Most of the province is at an elevated risk of forest fires, but so far the provincial forest fire fighting agency has yet to call for a ban on outdoor fires. Parts of Quebec south of Labrador, along with the Gaspé and the Charlevoix region are only facing a low to moderate risk of wild fires. The risk is high southeast of the St. Lawrence River, from the Ontario border to Quebec City, along with a portion of the Mauricie. The provincial forest fire fighting agency SOPFEU says the risk is, so far, manageable. There are currently two wildfires burning in the province: one near Senneterre, north of Val d’Or, and the second burning east of Saint Hippolyte in the Laurentians, about 45 km northwest of Montreal. The Juniper Fire near Young continues to burn, smoke and smolder, but has not grown in acreage in several days — despite warming conditions. …Summary: The Juniper Fire’s size has not increased beyond its current perimeter, though some areas in the interior and along the edge continue to smolder. With the increasing heat, high winds, and low humidity, specialists are monitoring the fire for hotspots which could flare up and start to torch unburned vegetation. Crews also continue to obliterate dozer lines and to repair other impacts from suppression activities. They are also inspecting roads, trailheads, and recreation areas for hazard trees and other potential hazards to the public from the fire. GOLETA, Calif. — Hundreds of firefighters and a fleet of aircraft battled a 1,400-acre fire tearing through coastal canyons in California on Thursday as blazes in Arizona and New Mexico threatened communities with thousands of residents. Hot, dry weather across the Western U.S. challenged firefighters. In California, crews for a second day struggled to douse flames amid rugged coastal canyons west of Santa Barbara where brush hasn’t burned for 70 years. About 140 homes and ranches were potentially at risk, depending on which way winds pushed the flames. “Sundowner” winds that rose at nightfall Wednesday spread the fire and authorities feared a repeat as winds began to pick up Thursday night. “If that happens, it’s going to be a major battle” to protect homes, said Gina DePinto, communications manager for Santa Barbara County. 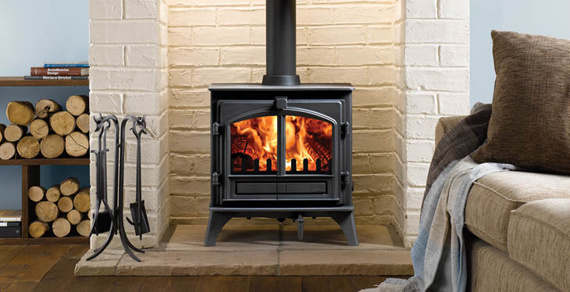 Neither the regional district nor municipalities like Delta can ban the installation of polluting wood-burning fireplaces or appliances in homes, despite their impact on air quality. It’s something that needs to change, according to Delta council, which recently discussed a staff report on the issue. “It occurred to me we seem to make a great to-do about diesel engines and other industries polluting, and yet, wood smoke, which is originating in the Lower Mainland, is the number one source of particulate in the region,” said Mayor Lois Jackson. “I think we have to pay a lot more attention because if this is 25 per cent of the particulate in the whole Lower Mainland, it’s one of the worst because this can be a killer for people,” she said. By next fall, two provincial buildings in downtown Prince George will be heated with thermal energy. The green heat is headed for the Prince George Law Courts and Plaza 400, which both have boilers that need to be replaced. They’ll be connected to Prince George’s Downtown Renewable Energy System (DRES), a hot-water utility that produces thermal energy using sawmill residue from Lakeland Mills. A city press release said connecting into the DRES will reduce capital and operational costs – to the tune of $139,000 a year for both buildings. It will also reduce greenhouse gas emissions by an estimated 480 tonnes of CO2 equivalent per year. Delegates from across the world are in Prince George today for the 7th bi-annual International BioEnergy Conference & Exhibition. The event is centered around things like climate change, safety workshops, and BC’s fibre situation. Event Manager Cam McAlpine hopes says bringing these many professionals together will promote great ideas and international business. “We’ve learned a lot over the years from Europe in terms of technology and equipment around the conversation of biomass into energy,” he says, “Asia, same sort of thing, although a lot of the discussions with Asia is around sourcing fibre for their energy needs.” He believes what is shared now could affect BC tomorrow. Here’s some good news for the animals that live in Eastern Canada’s boreal forest and the forestry industry that operates there — the trees that dominate the boreal forest can do just fine in the warmer, drier temperatures expected with global climate change. Black spruce are found across North America from Newfoundland to Alaska, and are the most common tree in the eastern boreal forest. A new study has found that in Quebec north of the 49th parallel, black spruce seem to thrive and grow better in warmer, drier years, which are expected to become more frequent with climate change. 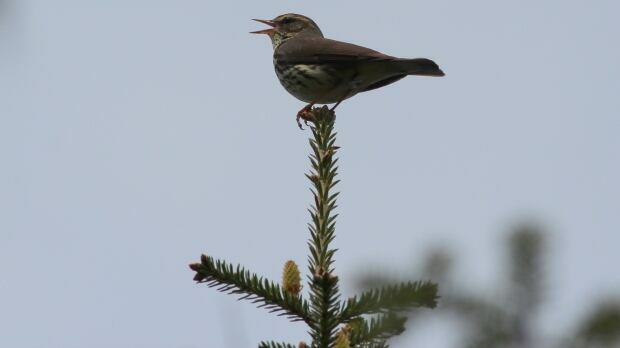 If you make your living in Canada’s boreal forest — whether you’re a logger or a songbird — you might want to consider a move to Quebec. Research suggests a Spain-sized area of forest in the centre of the province will be one of the rare places where nature will ease the effects of global warming and preserve existing ecosystems. “As the climate changes, it’s imperative that we find places that might be OK,” said Harvard University ecologist Neil Pedersen, co-author of a paper published Thursday in Science. Pedersen and his colleague Loic d’Orangeville at the University of Quebec at Montreal analyzed a huge database of about 26,000 trees in Quebec’s boreal forest to try to understand how it will react to climate change. Environmental groups are pre-emptively objecting to the possible inclusion of an “anti-environmental” rider in a fiscal 2017 Senate spending bill that could undercut the treatment of biomass emissions as a carbon source. The bill, which would set budgets for U.S. EPA, the Interior Department and the Forest Service, is scheduled for a Senate Appropriations Committee markup this morning. The panel won’t make the legislative text and an accompanying report public until after the markup ends. … In a statement to E&E Daily last night, Donna Harman, president and CEO of the American Forest and Paper Association, signaled that the industry hoped to see something similar in this year’s measure. Paper and wood product manufacturers get most of their power by burning sawdust and other “manufacturing residuals,” Harman said, thereby avoiding CO2 emissions each year equal to the output of some 35 million cars. Along with 196 other countries around the world, the United States has made a number of ambitious climate commitments that experts say will depend heavily on the expansion of renewable energy and the increasingly stringent regulation of carbon output. But some potential new legislation, which critics claim relies on scientifically questionable assumptions, has scientists and environmentalists worried about taking a step backward when it comes to climate goals. The controversy centers on a specific provision in the House appropriations bill for fiscal year 2017 regarding the burning of biomass (typically wood and other plant material) for energy. …Scientifically, though, the argument has a lot of problems, experts say.